I tell you, this extended winter is killing me. Ok, a bit exaggeration there, but these extra chilly days have forced me to really stretch my imagination in order to keep my wardrobe interesting. When I am feeling creatively challenged I get back to basics. Black, knits, dresses, demin and of course my wardrobe staple – the wrap dress. I wear my wrap dresses way more than you all may realize or care to see, as I don’t share them on Instagram or here on the blog everytime I wear them. My go-to lately has been; wrap dress + tall boots. The other night I got a wild hair and decided I would wear my wrap dress with black knit boot cut pants – mostly because I was fighting off a cold and the thought of my knees being exposed to the night chill was enough to practically send me back into my flannels under the warm covers. Back to the dress. Standing in front of the mirror I got to thinking, maybe I could tie this dress differently, who says it has to be “wrapped”? Or for that matter, who says it was to be a dress? After playing around with it a bit, next thing I knew I’d created an open, knot front tunic, that I was quite pleased with. So much so, I put the look together for you all today. Pleased with my creativity, I got on to YouTube to see if anyone else shared my genius new look. It took me a while, but I did find one YouTuber who was on the same page. Since she took the time to make a video, I thought I would save myself some recording time and just share hers…it does the job! So how will you wear yours? Have you found alternative ways to wear a wrap dress? 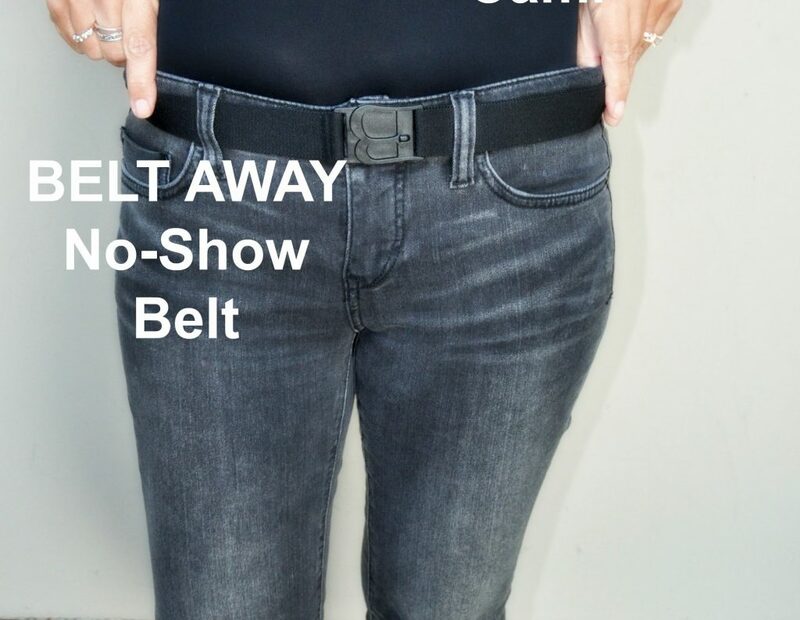 What about other staples, have you tried wearing them in unpredicitble ways? Drop me a line down below, I’d love to hear what you think! Do you follow AskSuzanneBell on Facebook? I invite you to join the fun by following my Facebook Page @AskSuzanne (HERE). You will find I post daily to Facebook, often sharing on topics not covered here on the blog. Have Your Visited my New Website? 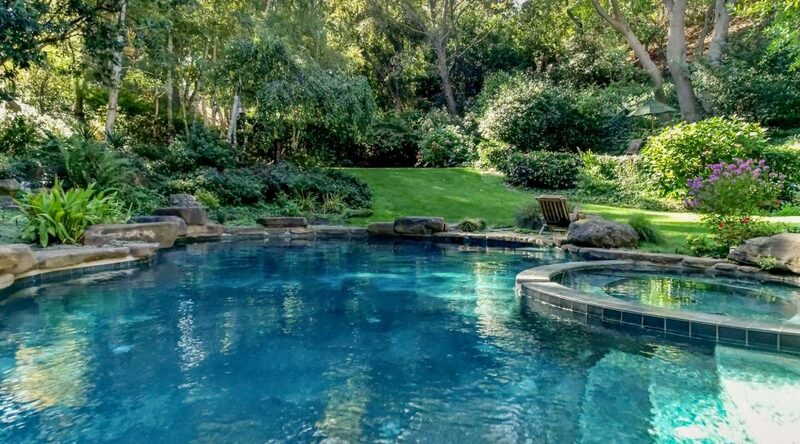 I invite you visit my all NEW Video Based Real Estate Related Website, RickandSuzanneBell.com, where I partner up with my husband and business partner Rick Bell in the world of Silicon Valley Real Estate. We just published an all new Interview with Dr. David R. Boschken, D.M.D. of Los Altos Orthodontics regarding the recent purchase of a facility in downtown Los Altos for his orthodontic practice. David discusses his thinking behind this investment and the revitalization of downtown Los Altos. Love this post, my only hope is that when we move into our Winter it moves out quickly, although we never really cool down here until mid April so a few weeks to go yet! Hoping for some warm weather for you all very soon! ThesE are great ideas! I have nOt been a wrap dRess fan but i may buy one and usE it in one Of these ways. Thanks! Hi Sallie! I am happy to hear that you found this post to be useful to you! I love taking items in my closet and re-working them to wear them in new ways. Wrap dresses are definately a more body skimming/hugging look and sometimes I want something more relaxed. This fit the bill! I have a wrap dress that is too tight on me that I will be wearing in this fashion as well. 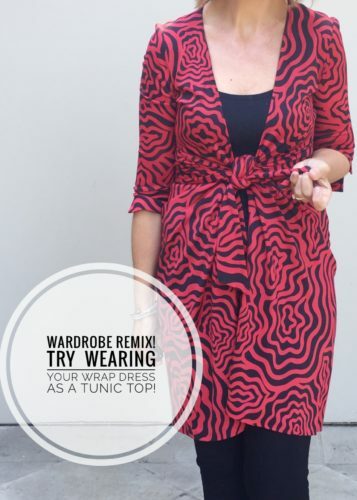 If you are looking for wrap dresses, I find beautiful ones on ThredUp. Everything from Under $20 to authentic DVF dresses around $79. Thanks for stopping by and dropping a comment! Have a wonderful weekend! I remember when the DVF DRESS FIRST CAME OUT!IT WAS A SENSATION! WHat do you have on under……a JUMPSUIT or is it TWO PIECES? LOOKS GREAT………………what ever it shall be! I bet when they first came out it was wild…what a brilliant design that is a classic still today! Under mine here I am wearing a Uniqlo tank which I love because it has a built in bra..bonus!!! and a pair of pull on crop flares that I picked up at ASOS a few years ago. They are like high waisted leggings with a crop flare, I wear them all the time! Today’s post I’ll be sharing how I wear a dress with jeans, my latest obsession! Hi Pamela! You know I love a wrap dress, I wear them to dinner at the club all the time. But last weekend it was so cold that I wanted to wear pants, but needed to be a bit more dressed up, so I came up with this plan and it took off from there. 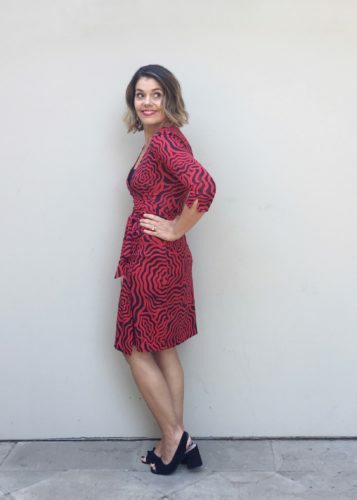 I have a few wrap dresses and one is kind of tight, but I love the print so I am excited to have a new way to wear it! Happy Easter and have a wonderful weekend! Just stumbled across your blog and I was so excited to see this post! I love wrap dresses, but also want to know creative ways to wear them. Would love to see more of your ideas for wearing this type of dress in different lengths and in different layers for all seasons. Wonderful creativity!!!! Hi Heather! I am so happy you let me know you found me here! Another wrap dress lover, I love it! 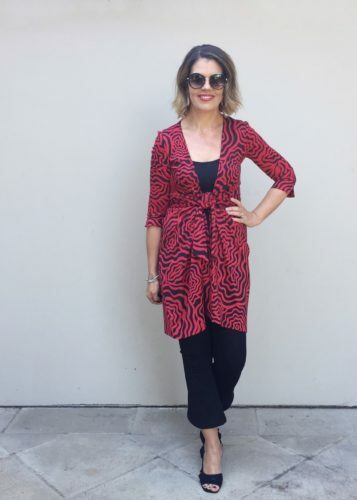 I have a few other posts where I show how I wear my wrap dresses – for all seasons. Here is the link where you will find a few archived posts. I love how you styled the wrap dress! Thank you for sharing your clever styling tips! Hi Robin! 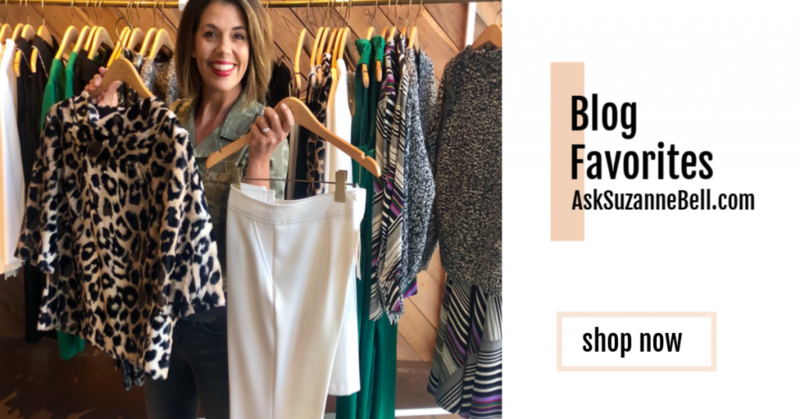 I am happy to hear you found it to be helpful…I know for myself, I was happy to find various ways to wear one of my favorite pieces…the wrap dress just got even better!